Not only are these Fleece Bottom Pony English Saddle Pad made of high quality Fleece they will also provide maximum comfort for you and your pony. We provide top quality products for all equestrian pony riders. 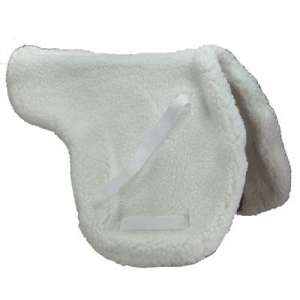 This English Pony Pad Features a billet and girth straps to keep the saddle secure.